This week's Throwback won't be revolved around one of my trips or food. I wanted to do a post on Sept 11th, 2001 because I don't want others and myself to ever forget what happened that day. It has been 13 years but I can still remember it clearly. It was gym class when students were asked if their parents worked at the World Trade Center and I remember 2 of them walked out. We were all wondering what happened but continued on until the next class. It was physics where our teacher had told us exactly what happened. We all sat there listening to him explain that planes had crashed into both of the buildings and there were people stuck at the top with no way out. At my next class, ceramics, we were able to see the smoke coming from the building and we were listening to the radio as the first tower fell. After that, my teacher had closed the blinds. 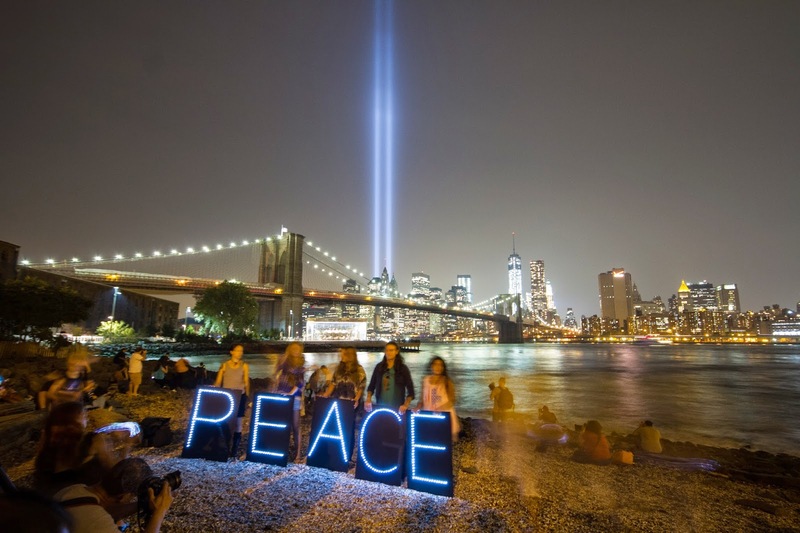 We should always commemorate all of the people who have lost their lives and those were affected that day. 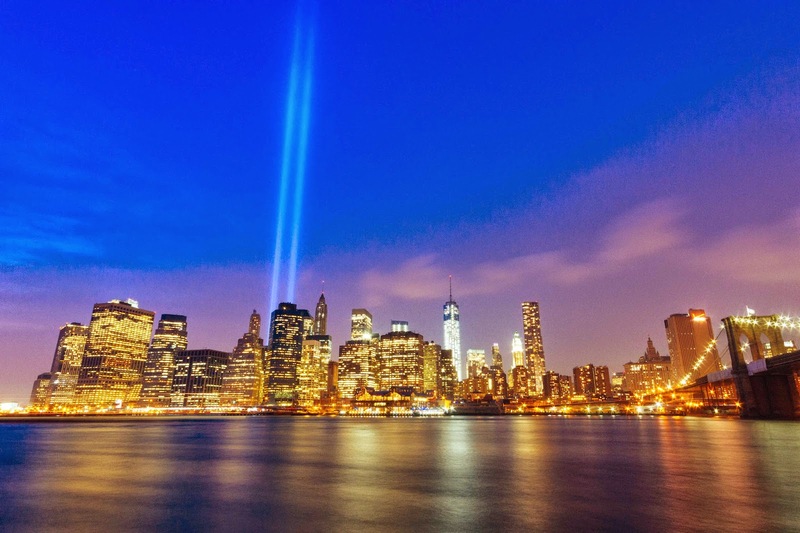 The tribute in light, that started in 2008, is running tonight so if you are in NYC, the best spot to take a look would be Brooklyn Bridge Park at night.